Take Apple for example. Apple has invested a tremendous amount of time time and energy into presenting and packaging their computers, tablets, and phones. This effort has been so successful that the experience of unveiling of their products has generated interest in and of itself. It’s not just Apple, either—customers enjoy the experience of unpackaging a product so much that people will even post online videos of themselves unpackaging a company’s products, effectively generating free advertising. Thinking critically about how you package, present, and deliver your product is crucial to its success. Here are just a few things to consider to ensure that you are getting the most out of your investment. While individuals might insist that their purchasing choices are based solely on the quality of the product itself, evidence suggests that these choices are not as impartial as they would like to believe. The subconscious mind has a profound effect on the choices we make, and any successful packaging needs to be designed with this in mind. The packaging you choose to put your product in will have an emotional impact on your potential customer, and it’s up to you to make that emotional response a positive one. A 2013 Psychology and Marketing article describes a study where researchers connected an fMRI machine to participants to study their brain activity while looking at various types of packaging. The study found that the participants experienced positive brain activity when presented attractive packaging over neutral packaging. Attractive packaging elicits positive emotions in people just by being seen. These emotions directly influence how we think about a product on a subconscious level. They have a profound influence on our buying decisions, even for the most rational individuals. Imagine yourself walking down an aisle at a supermarket. You pass hundreds of products along either side, each one with their own unique shape, size, and color scheme. It’s a bit of a sensory overload to your brain, and at some point, they all seem to run together. That’s where you, the manufacturer, have to figure out how to break out of the blur and make the customer want to grab your item. You only have one chance at a first impression, so you have to make that first pass on the aisle count. Chances are there are several other companies offering a product similar to yours who you will be competing with for shelf space. How can you own your brand and make it stand out to increase your sales? With packaging that is unique and goes against the norm. It goes beyond the shelves at the store. If you are shipping your product directly to the customer, your actual product packaging will have little impact on first impressions. However, what you decide to ship your product in is a different story. Your shipping package should convey a sense of value. If you ship your product in a plastic bag rather than a box, you could be sending a message of cheapness and disposability, which could cause the customer to not want to purchase from you again. 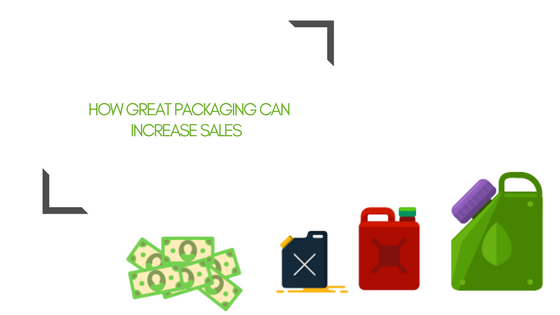 You are selling a valuable, good quality product, and your packaging needs to reflect that. When you understand who is going to buy your product, you are able to make a more informed decision about your packaging. The age, locality, interests, and values of your intended audience should all be taken into consideration when determining which packaging and design is right for your product. If you are marketing to an older demographic, it might be a better idea to pick more subtle packaging and project a sense of trustworthiness. Younger crowds are more likely to be drawn to flashy and modernistic designs. If your product appeals to a certain interest, such as environmental concerns, maybe pick packaging that is eco-friendly to reflect the customer’s values. A great example of a company that knows their market is Bud Light. Beer is synonymous with sports, specifically football in Bud Light’s case. Taking their demographic to heart and using their sponsorship with the NFL to their advantage, they began producing cans with various NFL team logos on them. Now, people who perhaps wouldn’t have chosen Bud Light for their game day beer might turn to the product so they can show their team pride. The way in which you present your product to the world can have a drastic effect on the success of your product. You should have a good sense of who might be interested in your product, what they might think upon their first interaction, and what kind of emotions you want your product to evoke.